Greece has fully complied with its obligations deriving from the agreement with the country’s creditors and now it is time for its partners to keep their side of the deal, President Prokopis Pavlopoulos said on Tuesday, opening the “Concordia Europe Summit”. 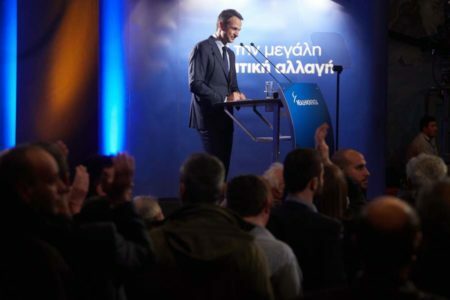 “Greece will remain in the European Union definitively and irrevocably because it does not think of itself outside it, in the same way that Europe cannot be without Greece as a stable and integral member,” he said. “But my country expects, especially now that it is ready to overcome the crisis, having fully complied with its obligations, the solidarity of its partners and the fulfillment of their own obligations, since the pacta sunt servanda principle is a fundamental European principle whose consistent application is a prerequisite for maintaining the credibility of the European Union,” he added. Pavlopoulos also called for the need for the EU to progress from being a currency and economic union towards an institutional unification, by developing a federal structure based on representative democracy.